Most people coming into the Golden Dawn talk about it being “light,” “nice” and “spiritual”, when actually the outer order is dark giant skip packed full of rubbish which the candidate has to sort out within five initiations. Modern GD groups make a great deal of the outer order grades, and they are vital for the process that the system starts in a magician before they start to handle the heavy lifting magical work of the second order. For a while I have wondered why it was that people join the Golden Dawn only to leave while in the outer order. Of course, you could argue that the “golden dawn was not for them” but actually those who leave often make right angled choices and go into much different fields or pack in the magical path completely. I have yet to see someone depart the Golden Dawn and head into an edgier form of magic. It is more likely that they will head to something safer which takes them away from their pain. I have written before about how the different outer order initiations effect the candidate. This could be positive, but is more likely to be a negative reaction to the energies of the grade or the ritual. In the HOGD the 1=10 tended to hit a person’s finances, in MOAA the 2=9 always hits males who have problems with women, the 3=8 creates pressures on relationships etc. I have been told off by the leaders of some GD groups for saying this, because they claim that THEIR candidates only have wonderful experiences in the grades and I must be doing something wrong. After years of thinking about this I have decided that I probably am right and I am going to come out and say it. The Outer Order is where candidates process their dark. Everything about the outer order rituals is about light dawning in the dark, but if you read the script there is an awful lot of darkness. This effect is probably missed because most modern GD groups meet during the day and don’t memorise their scripts. However, the original GD (and Whare Ra) had most of its rituals conducted in semi-darkness – just enough so you did not trip over. Things like the tablets were lit by single candles and there was a dull light from the Dias. Lots of lines within the rituals are about the dark. The 0=0 which is the template for the Outer Order theme talks of “coming forth from an abyss of darkness” the ritual pattern is of a journey through the dark lit by a single lamp. This is hardly the good and wholesome light which is much talked about. In the grades the same thing applies, much of the temple is in darkness most of the time. Diagrams, movements emerge from the Darkness and retreat backwards. The candidate and most of the officers wear black. Even the Hierophant’s red robe would also would also appear dark. In fact, this is a good reason that the diagrams were all black and white. You could not make out colour in the gloom. Only the white of the Hegemon, the religious impulse standards out with any certainty. The candidate is told that the outer order is all about the black pillar and they are in the dark moving towards the light. This is where the rubbish I was talking about earlier comes in. Each of us has stuff within our unconscious which is baggage to be processed in our life. It is not meant to be overcome, it just is and we have to work out ways to live with it. As the light of the ritual shines in darkness it picks out those parts of ourselves which are either repressed or stunted by our life. These then shamble from the dark cave of our unconscious like shades from the underworld. Each grade picks out another monster (or several) to deal with. In most cases this is not a problem, but in other situations the monsters can be too scary. The candidate either breaks down, or runs away. This running is normally done by projection. It was the Order that produced this mess, therefore there must be something wrong with the leader, or the Order. If the group is good, then it provides the support for the candidate and helps them to come to terms with their dark. They are unable to do so the person flees into their own personal shadowlands, often loudly berating the group they have left. Note, I am not saying that leaving a group is a sign that you have failed to deal with your stuff. There are loads of reasons to leave a group ranging from the leader being the occult equivalent of Donald Trump, a con-person or a front for a terror group, but if the group was good BEFORE you took the grade then you need to look at what has changed your mind. This process is terrifying, but still desirable for those who want to deal with the harder magic of the second order. The light which in the first order gently picks out monsters one at a time, whereas the second order flicks the lights on in the cave and activates many of the unconscious bugbears all at once. 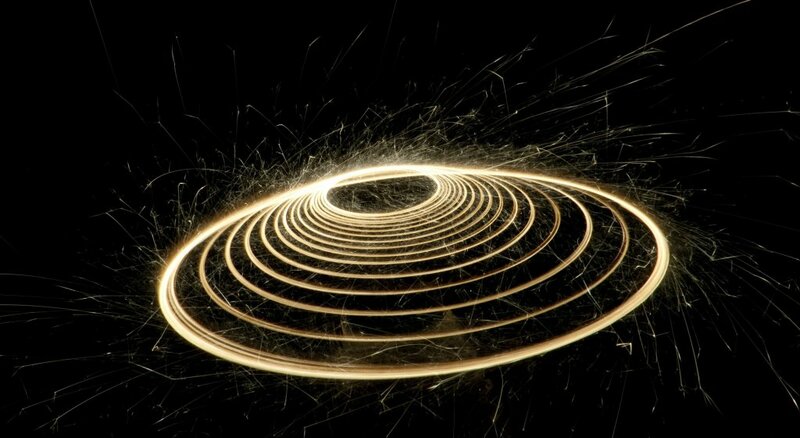 The light of the First Order is more like a bright sparkler than a defuse beam, it comes into the temple from the east and spirals clockwise three times as it lifts up the supernal triangle. It is the sort of light which looks bright only because everything else is dark. In the darkness we process. 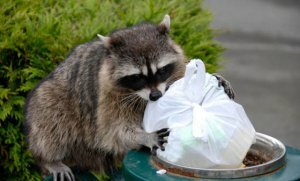 The outer order candidate should see themselves like a racoon in a dumpster. Sure they wash (purify and consecrate) their paws, but they are still dealing with their rubbish and they should acknowledge that is what they are fearlessly doing. One of the most important lines in the 0=0 is that you should not give into fear. In your personal dark you learn to be the best version of yourself possible. If you tremble at the monsters in the cave, or get turned to stone by your personal medusas you will have no chance when you meet the gods, angels and demons of the second order. For this reason, seeing and comprehending that light which flashes through the outer order and the demons it reveals is all part of the process. 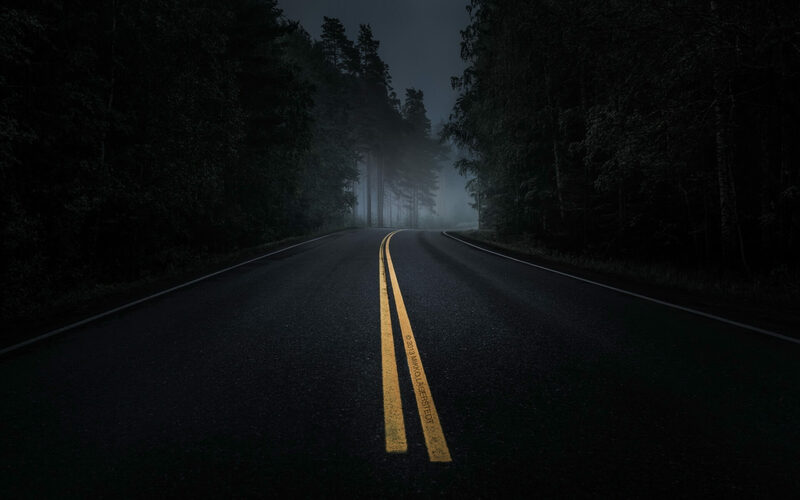 The dark of the outer order is a two-way street. When officers take roles in an outer order ritual, their darkness also comes out. Many Golden Dawn hierophants convinced by the fact that they “are only using light” and projecting an air of benign goodness should realise that when the light comes from the East into the place of darkness it comes through them and projects their darkness on the whole temple. Their shadows can become projected onto the candidate and indeed the whole temple. There is one group which has a “lineage” of teachers using their power to sleep with their students going back at least four lines and growing. Sure the ritual has safeguards against this in the form of the purification and consecration, but there are limits. Often those who fail to acknowledge their own darkness start to change in response to the light. People who start good, or at least having the right intentions, end up becoming twisted ego-maniacs, others, like Christina Stoddard become progressively crazy and paranoid. All this is because the outer order rituals are dark ride through the underworld which must be navigated before the White Pillar of the second order can be touched. In the outer order, the candidate then has to wear their darkness with pride.